Trying to act normal when you feel your life changing from under you is an interesting experience. Elie has just carried his 7 year old sister up to bed. By the time she wakes in the morning, he will have left. She has no real understanding of the moment; I'm not sure Elie does either. Only later in life do things become so heavy. At 7 or 19, life is for the moment. You give or get a kiss goodnight and you don't wonder about who will give you a kiss tomorrow night. As you get older, you learn that you can't freeze moments. They come and go in an instance and all you can do is hold the image in your mind. Of Aliza jumping up on Elie and of Elie swinging her up in his arms. He's always loved the strength he has over her, that he can lift her up high and make her squeal with delight. He can flip her and play with her as no one else can. She loves it, as does he. I look back at pictures we have taken over the years and am surprised to see how often she is on his lap. He was just 6 months short of his 13th birthday when she was born. He didn't mind sharing the spotlight when his bar mitzvah came around and so many looked at the adorable 6 month old baby. I was terrified that she would wake up and cry during the service, but she slept peacefully. Even going through high school, when most boys would probably have no interest in a little sister, Elie adored her. It was Elie that laid down the rule in our house that soda is only for weekends and what we call "happy days." And Aliza accepted it right away. Aliza's world is shifting - first with her older sister getting married two weeks ago and now with Elie going off to the army. We believe, as is the army custom, that he'll be home next weekend, probably even before Aliza gets a chance to miss him. Tomorrow, his day will start in Jerusalem at a central gathering point for incoming soldiers. This is being repeated all over Israel. From there, they'll take these young men to a central point in Tel Aviv. They'll get their allotted supplies - the uniforms, socks, boots, washing kits and more. Those that need haircuts will get those as well. Elie is thinking of going to the mall tonight to have his hair cut, though I'm not sure he even needs it. They'll sleep the first night at this central point, before being dispersed all over Israel to the training camps that will be his home away from home for the next 2 months of basic training. By nightfall tomorrow, my son will be a soldier. In uniform. Beyond my reach. This blog, that began as my way of coping with the changes to our family as my son waits to become a soldier now begins a new phase. From tomorrow, it will truly be about a soldier and his mother, rather than about the way in which we prepared for this moment. One thing I have learned over the years is that tomorrow will come in its own good time. For me, I can only bless my son that he should go in peace and come home in peace, knowing that we love him for what he is, who he is, what he will become. 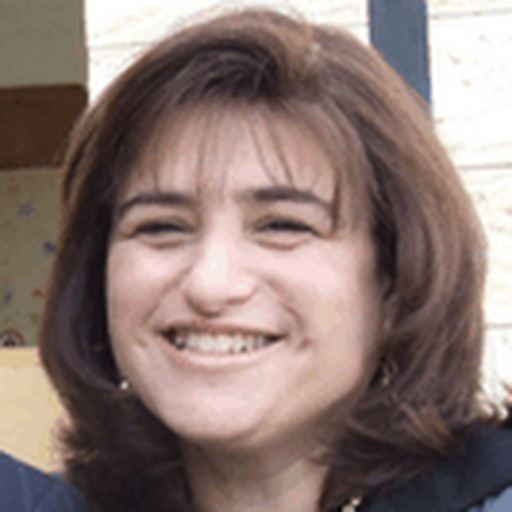 Paula R. Stern is the author of a blog entitled "A Soldier's Mother" which has been running for more than 5 years..